and take your audience on a journey. There are multiple ways to add your content. 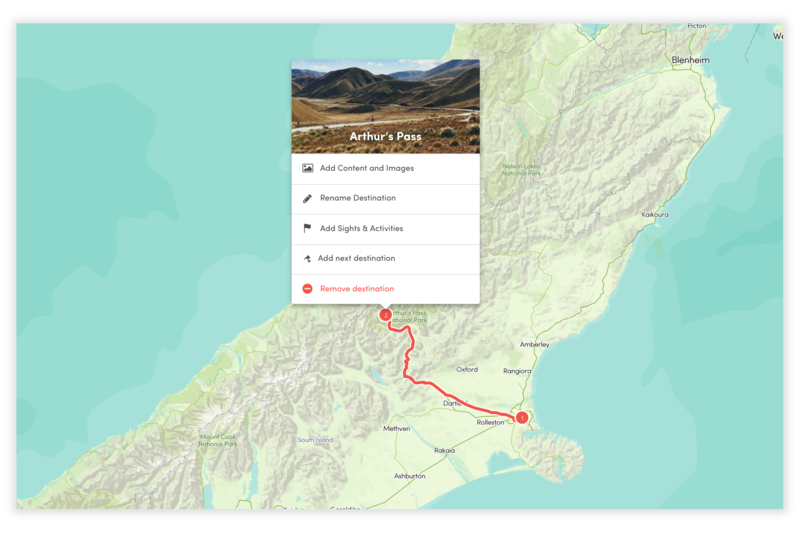 Either click on the map point, then ‘Add content and images’, or click on the pencil icon in the itinerary list, or click on the ‘Add content & photos’ tab across the top green tab. Add sights and activities as a place of interest point. Go to the ‘Add content & Photos’ tab, select the relevant point along your route, then click ‘Sights and Activities’. You can either drop a pin on the location by clicking on the map, or use the search bar to find the location. Then simply add a description, links and an image and click ‘Save’.